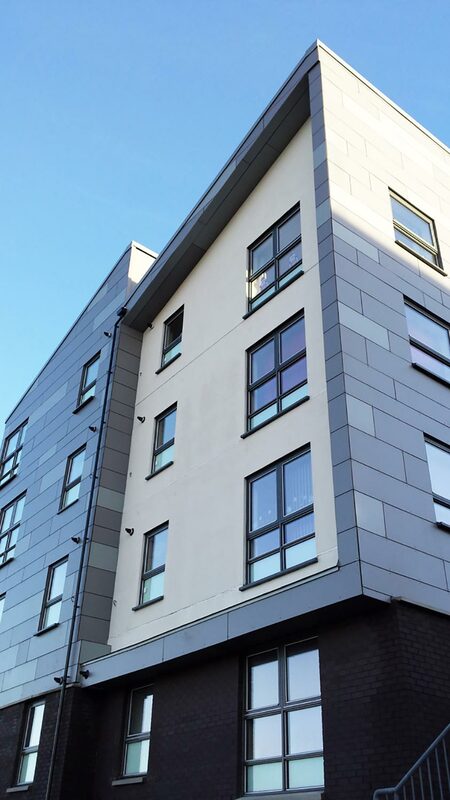 This 49 unit new build flatted project achieves many sustainable targets set by the client with all units meeting SBSA Section 7 Silver standards for Aspects 1 and 2 (carbon dioxide emissions, and energy for thermal comfort and artificial lighting), using flue gas heat recovery and MVHR. 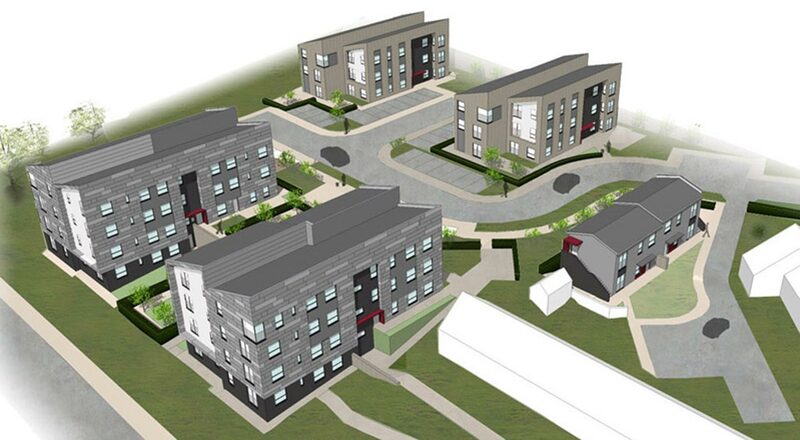 The scheme was successful in securing funded through the Scottish Government’s “Greener Homes” fund. The timber frame construction utilises off-site closed panel manufacturing processes and a lightweight acrylic brick slip cladding system on the majority of elevations which were applied in the factory. The project was shortlisted under the Innovation Category at the 2015 Saltire Awards.